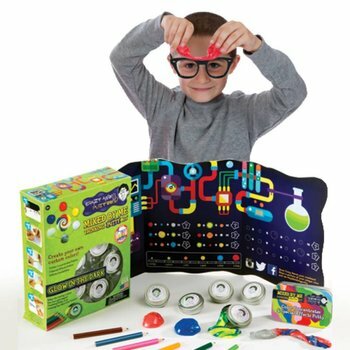 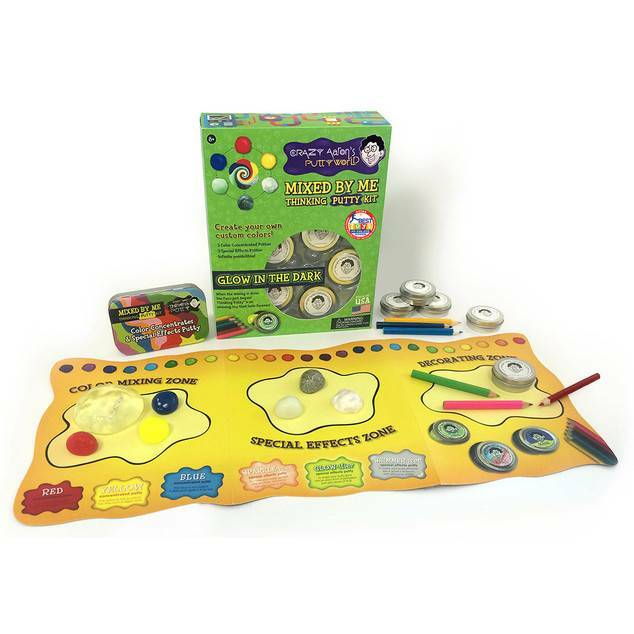 Each kit includes five tins of clear putty, three concentrated color putties, three special effect putties, and an instructional mat—everything you’ll need to make cool Thinking Putty colors that are all your own! 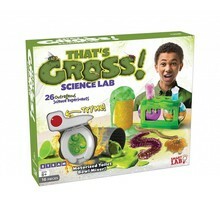 When the mixing is done, the fun’s just begun! 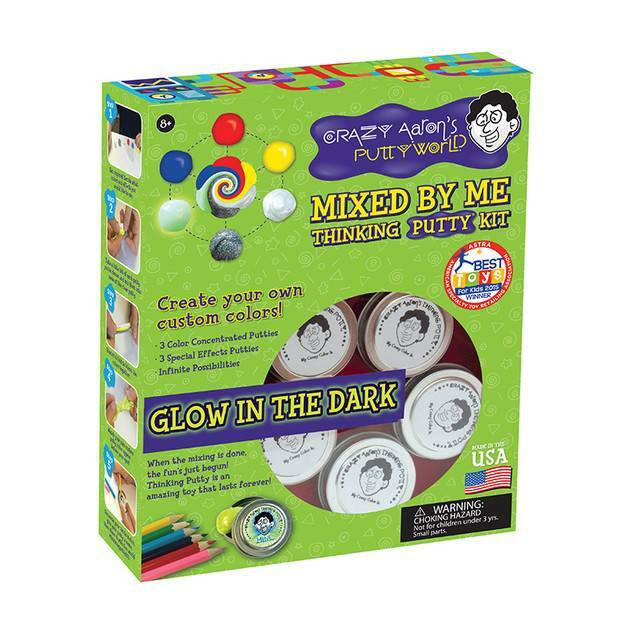 Play with your new colors by day, and enjoy their awesome green glow by night. 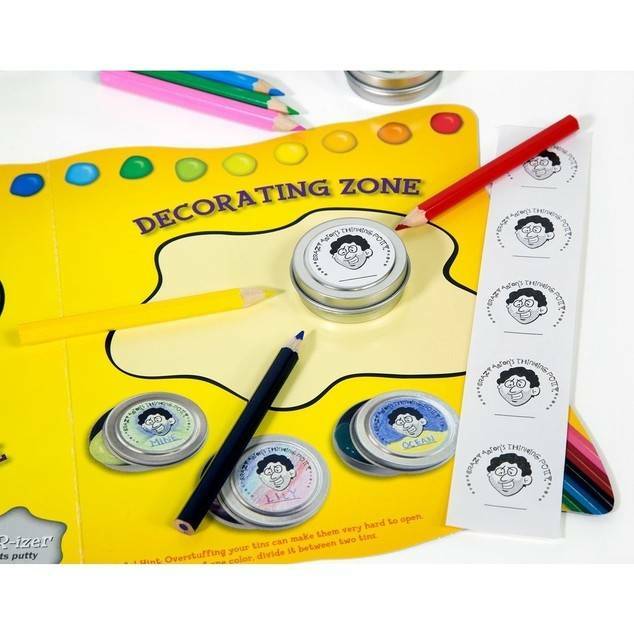 You can even use the included colored pencils to decorate your tins to match. 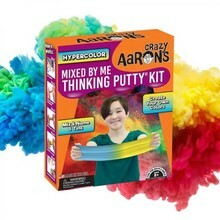 Don't forget to use #mythinkingputty to share your creations with Crazy Aaron and the world! 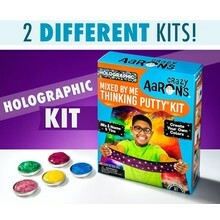 Everything you’ll need to make cool Thinking Putty colors that are all your own! Plus, your Thinking Putty will never dry out so you can play with your new toy forever.